Littlehampton is often associated by anglers for only its Black Bream fishing, and whilst its true this is without doubt the premier port in the country for quanitiy and quality of the species, it is often forgotten there is a considerable wealth of variety of fish and ground in which to target them, as well as a huge number of wrecks within easy reach of a fast boat such as Spirit from the port. Listed below are the fish you are most likely to encounter on your trip, and the methods and baits we use to target them. The famous Kingmere Reef likes 6 miles to the South of the harbour. 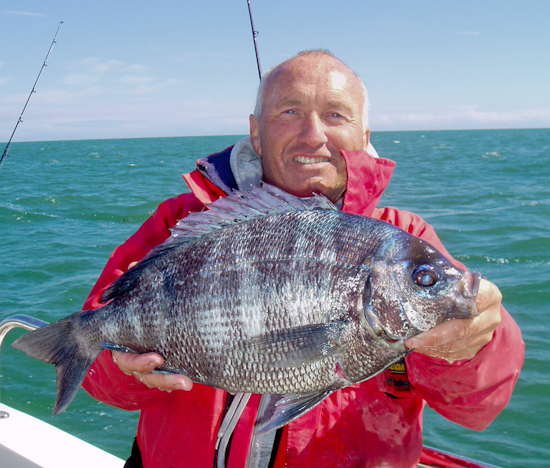 Huge shoals of large Bream visit annually and we target these plucky fighters from mid April until the end of June using light tackle and squid baits. We also enjoy a second run in the Autumn of slightly smaller fish using the same methods as in the spring. My personal favourtie. We target this species all year round with a variety of methods depending on the time of year. Fishing with lures on the drift, dead baits at anchor or live baiting the inshore wrecks. A double figure Bass is always on the cards. Click HERE for more information on Bass fishing. 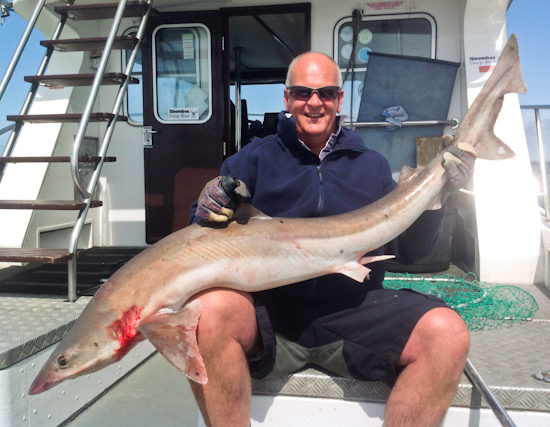 Fish in excess of 50lb are common in May and June. We fish in an area of strong current with large baits. A flowing ledger is required with a suitable end trace for sharp teeth is a must. Our policy is to return these magnificent fish without exception. Very common in spring to specimen size. 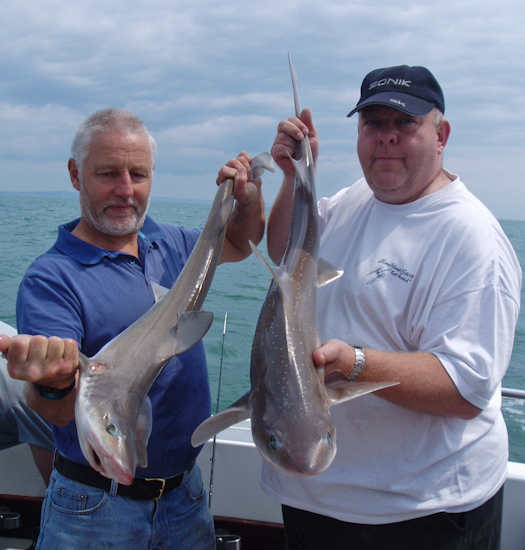 We fish for them using mainly crab and large squid baits. These strong fighters are sure to please any angler especially on light tackle. Common on our mussel beds in both the early and late part of the fishing season although they can fish well right throughout the year with the larger fish showing in the Autumn. 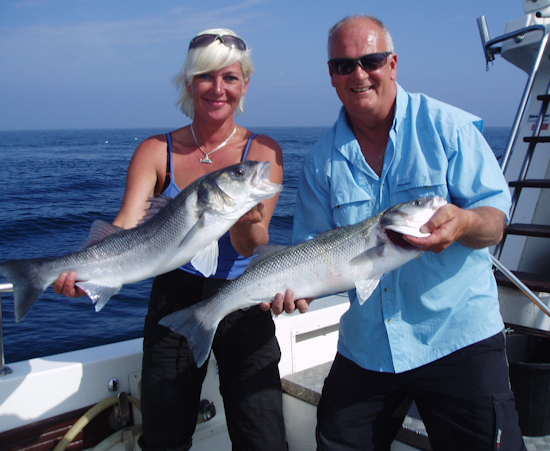 Often we see fish over 3lb and up to and over 5lb. We fish for these with ragworm and or black lug worm on a flowing trace using beads and spoons as attractors when the water is murky. All species of Ray to double figures are common on the grounds. 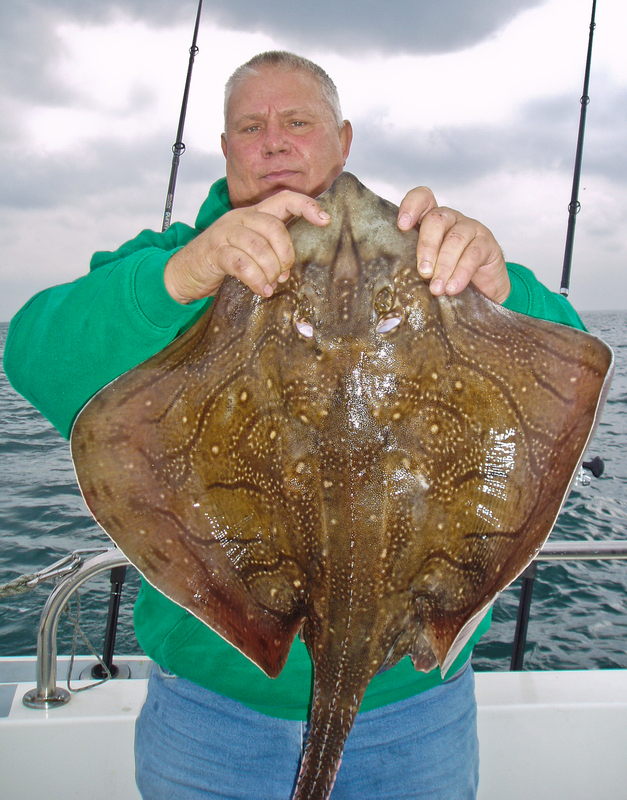 Most of those caught have fallen to sandeels or fish baits nailed to the bottom although worms inshore will also catch Stingrays in the summer. 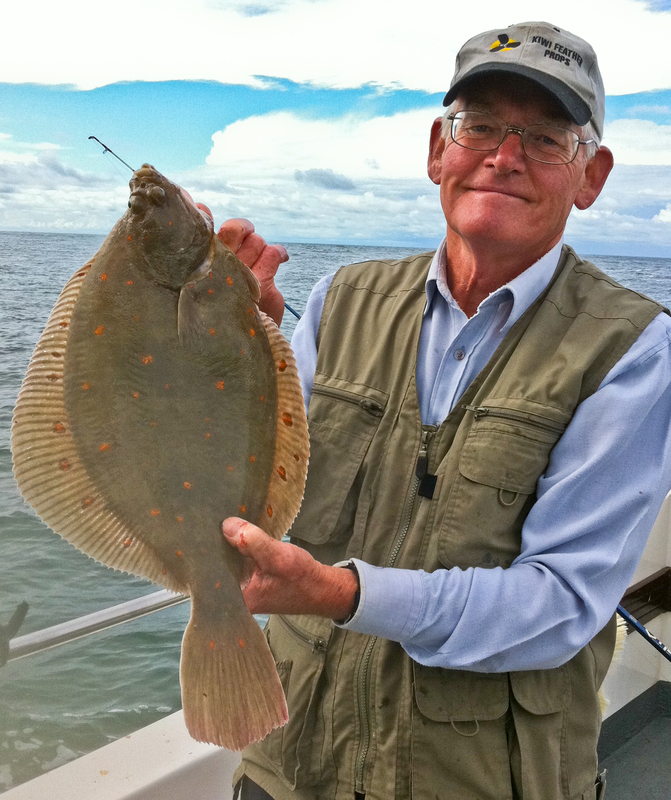 Both Brill and Turbot are often taken on the banks whilst fishing for Ray's.